"We do the work so you don’t have to!" 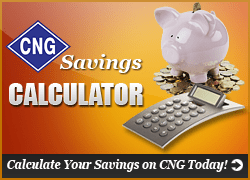 Enter your numbers in the boxes below to calculate your potential savings from converting to CNG. Lias contracting is great! They have fixed a few tractors for us and they always do a great job! Always fixed right the first time and prices are always fair! I would recommend their service to anyone! Rick Lias has converted two vehicles to CNG for me and he did one for my dad. The installations were very neat, clean and well thought out. I'm very pleased with the performance of my vehicles since the conversion. I haven't lost any power and I've saved a bundle on fuel expenses! Rick always goes the extra mile to make sure everything is exactly the way it should be on my trucks. If you're thinking about converting to CNG, you have to call Lias Contracting, LLC. Hey everyone go over to Lias Contracting LLCs page and check out some of the services that they provide! Lias Contracting LLC is serving Armstrong County and the surrounding area in Western Pennsylvania. © 2019 Lias Contracting, LLC.